The Procter & Gamble Company applies its generic strategy to achieve competitive advantage in the consumer goods industry. Michael Porter’s model for generic competitive strategies focuses on business approaches that lead to competitiveness and resilience amid competition. In the case of Procter & Gamble’s generic strategy, the emphasis is on product quality and value. These factors are significant in supporting P&G’s efforts to achieve and maintain a leadership position in the consumer goods industry. It is worth noting that quality and value are also included as major points in Procter & Gamble’s vision statement and mission statement. Moreover, the company applies intensive growth strategies alongside its generic strategy. These intensive strategies facilitate Procter & Gamble’s growth in terms of market performance. Considering the tough competition in the consumer goods market, it is essential that these intensive growth strategies are effective and relevant to the current market conditions affecting Procter & Gamble. Procter & Gamble’s generic competitive strategy (Porter’s model) defines the main approach of the business to achieve competitiveness. In this regard, the generic strategy also influences managerial decisions, in terms of marketing, research and development (R&D), and innovation. On the other hand, Procter & Gamble’s intensive growth strategies depict the strategic approach of the business in addressing consumer goods markets. These intensive strategies affect the company’s growth and expansion plans. Procter & Gamble uses differentiation as its generic strategy for competitive advantage. Differentiation involves developing the uniqueness of the business and its products to attract target customers. In this case, Procter & Gamble highlights quality and value in its consumer goods. For example, the company offers high quality cleaning agents, like Tide laundry detergent, at affordable prices. Based on this generic competitive strategy, a suitable strategic objective is to maintain P&G’s high investments for R&D to ensure high-quality and valuable products. Another strategic objective based on Procter & Gamble’s generic strategy of differentiation is to maintain effective marketing strategies that emphasize the uniqueness of such products. Such product uniqueness determines pricing and promotional activities. These considerations are included in Procter & Gamble’s marketing mix or 4Ps. The cost leadership generic strategy (also known as the low cost provider strategy) is partially applied on some of Procter & Gamble’s products, focusing on cost or pricing to achieve competitive advantage. For example, Pantene hair care products are priced relatively lower compared to competitors like Unilever’s Dove hair care products. Procter & Gamble’s marketing mix also considers this generic competitive strategy. A strategic objective based on the cost leadership generic strategy is to develop Procter & Gamble’s competitive advantage based on cost-minimization approaches. For example, automation is increasingly used to minimize cost and maximize efficiency in Procter & Gamble’s production processes. Market Penetration (Primary Intensive Strategy). The Procter & Gamble Company’s primary intensive growth strategy is market penetration. In this intensive strategy, the main aim is to increase the company’s market share. Procter & Gamble does so through marketing campaigns to increase consumer awareness about the company’s consumer goods. This strategy is especially significant for low-performing products in the market. In addition, Procter & Gamble implements this intensive strategy through beneficial agreements with retailers. For example, P&G grows its market share by offering higher retail profit margins for some large retailers. In return such retailers display Procter & Gamble’s products in prominent locations or shelves in their stores. The differentiation generic strategy creates competitive advantage that helps increase success in applying the market penetration intensive strategy. A strategic objective based on this intensive growth strategy is to increase Procter & Gamble’s market share through aggressive marketing. Product Development (Secondary Intensive Strategy). Product development is used as a secondary intensive growth strategy in Procter & Gamble’s business. This intensive strategy involves design and production processes for products that attract target customers. Procter & Gamble applies product development to support continuous business growth, while addressing competition. For example, P&G develops new products to increase its share of the global consumers goods market. 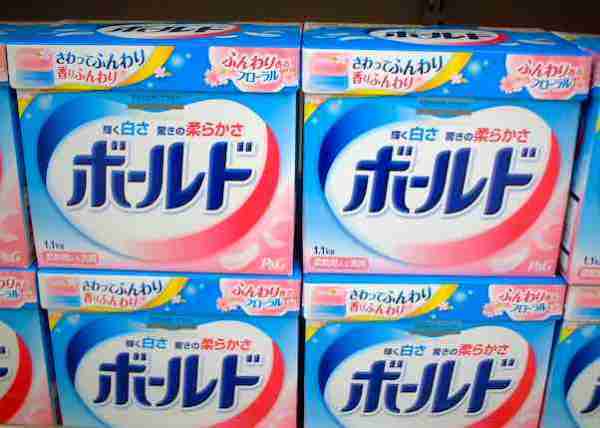 In addition, Procter & Gamble increases its competitiveness by continually enhancing current products. The differentiation generic strategy directly determines the kinds of products that the company develops, especially in terms of competitive advantage based on quality and value. A strategic objective associated with this intensive strategy is to grow Procter & Gamble through continuous innovation. Market Development. The Procter & Gamble Company uses market development as a supporting intensive growth strategy. Market development contributes to the company’s growth through entry into new markets or market segments. For example, Procter & Gamble could enter new market segments when it creates an entirely new product line or when it changes its market focus. In this way, Procter & Gamble can expect a new revenue stream. The generic strategy of differentiation makes it easier for P&G to enter new markets or market segments when implementing this intensive growth strategy. Also, a strategic objective based on market development is to increase Procter & Gamble’s R&D investment for new product lines, or to reform its marketing strategies to enter new segments in a growing or stable consumer goods market. Diversification. Diversification is one of Procter & Gamble’s supporting intensive growth strategies. This intensive strategy involves establishing new business operations. For example, every acquisition and corresponding business diversification in Procter & Gamble’s history has led to considerable growth. However, this intensive growth strategy is considerably difficult to implement because of its large-scale effects on P&G’s business organization. For instance, each acquisition leads to adjustments in Procter & Gamble’s organizational structure. The differentiation generic strategy helps build competitive advantage the company needs to succeed in new business operations. Also, this intensive strategy leads to the strategic objective of using an aggressive approach to acquire other firms to grow Procter & Gamble’s business.